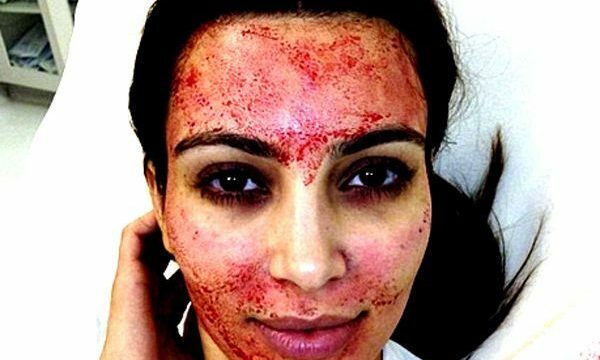 Over in the US, a spa offering the ‘vampire’ facial has been shut down. I suggest we turn up to Chez Kardashian with stakes in hand to make sure the job is done. After tragedies like Dallas, we seek the Celeb to speak for us. But those who are seen to stay mute, suffer the full magnitude of our rage. Morning! Last night the world went a bit funny in the head. Kim Kardashian called out the senate, Northern Ireland got through, and dinosaurs walked the earth. Do we have any crumpets? This week George Dot Play goes toe-to-toe with a colossus of our generation: Kim Kardashian’s posterior. It’s not so cool for women to be skinny any more, and Nathalie Marie Camerlynck couldn’t be happier. Yalei Wang wonders what on earth convinced Anna Wintour to don some socks with sandals and put Kim Kardashian on the front of US Vogue.